The Fat Release System is based on the Simeons HCG Diet protocol for weight loss. This protocol is designed to take advantage of the body’s natural hormonal system of regulating fat stores in your body, and stimulating it to release the stores of dense, long-term “brown” fat from the problem areas on your body. These are fat stores that would normally only be released during severe starvation or during pregnancy. This method of weight loss was developed by Dr. A.T.W. Simeons, MD, a British doctor who spent most of his career in India and Italy. Dr. Simeons, the inventor of this protocol, discovered that if you give a man or woman HCG while on a very low calorie diet (VLCD), you can liberate these fat stores and reset the hypothalamus so that it does not continue to store calories as long term brown fat, but as short-term, needed normal fat. Because the HCG liberates the fat stores into your blood stream (as if you had eaten a big fatty meal), most people report having little to no appetite on this protocol. HCG has been researched since the 1950s by Dr. Simeons and that research was published in 1970 in a book called “Pounds and Inches”. The HCG Diet does not interfere with any medications, including birth control. It is always recommended to consult your physician before starting any weight loss program. 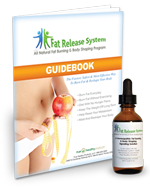 The Fat Release System uses homeopathic HCG, it is the hormone human chorionic gonadatropin and it is homeopathically prepared per the Homeopathic Pharmacopia of the United States. Homeopathy is a “safe and effective system of natural medicine which uses tiny quantities of specially prepared substances to help the body heal itself”. Through a process of dilution and succession (vigorous shaking), the therapeutic strength (potency) of the remedy could be increased while virtually eliminating the toxic side effects. Our formula is 100% legal in the United States and made in a lab that is 100% approved by the FDA.